All of the the weekly A2 forecasts have disappeared out of their category archive. I logged in to check in on the Week 10 forecast discussion and couldn’t find it any longer! It looks like clicking on anything under the “Forums” category brings up a list of website suggestions being ranked rather than bringing up the requested stream. For anyone normally going to the “Forums > W05/12 Opportunity Forecasts (A2)” as a part of their routine to find the weekly launchpads, W10 Launchpad, it is located here. 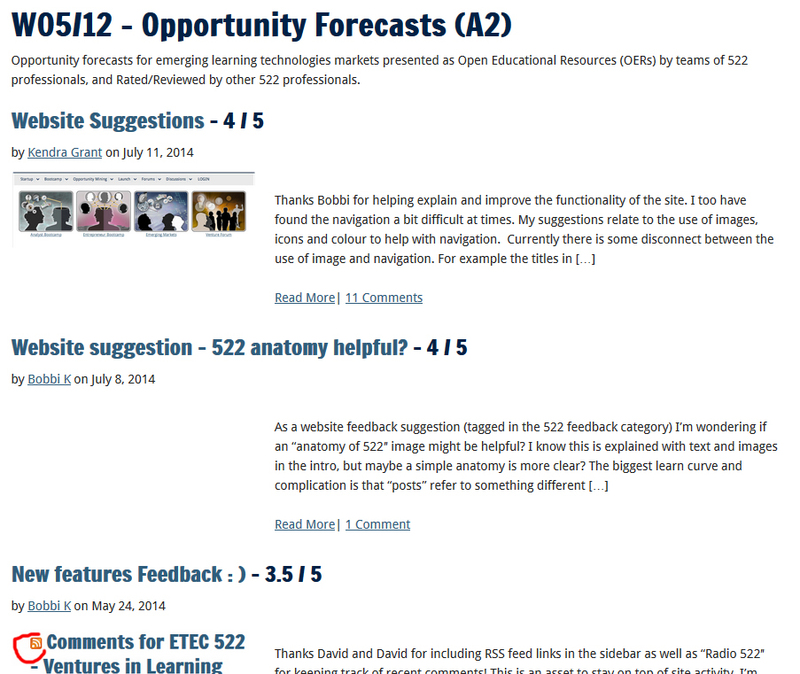 Where/how should we be looking for the weekly OER presentations and activities now?